Well, my title has kind of given away what made Claire scandalous, but there was far more than her affair with Lord Byron, the infamous poet and seducer. So let’s begin at the beginning. I mentioned Claire last week, when I told her other stepsister’s, Fanny Imlay’s, sad story. Claire was born, Jane Clairmont, and grew up being called Jane. Claire was three when her mother, Mary Jane Vial Clairmont, married, Mary’s father, William Godwin, and Claire was the youngest of the girls, but only eight months younger than her stepsister, Mary Godwin (later Shelley). If you didn’t read my blog last week, then for your benefit, Claire also had a second stepsister, who was Fanny Imlay as mentioned above, a half-brother, and a half-brother who was born from the marriage between Claire’s and Mary’s parents. Like Fanny, Claire had conspicuous beginnings, she was illegitimate. Her father is now known to be Sir John Lethbridge of Sandhill Park. Her mother had hidden both Claire’s and her brother’s illegitimacy, changing their surnames to Clairmont and moving away from the locality she grew up in. Perhaps Claire never even knew she was illegitimate. The relationship between Claire’s mother and her stepfather was known to be volatile, to say the least. Both were intelligent and outspoken, and frequently argued, and Claire’s mother never held back on her opinions and openly favoured her children over Mary and Fanny. In his younger days William Godwin had been politically active and preached anarchy, when Claire was growing up though he wrote and published children’s books with Claire’s mother. Through her mother’s preference for her, for a while Claire was able to attend boarding school without the other girls, and she learned to speak French fluently and is known to have spoken other languages in later life. So clearly she had inherited her mother’s intelligence. But Claire was caught up in the Regency whirl of romance in the 1800’s when she fell into the orbit of the poet Shelley. Shelley respected Claire’s stepfather’s views on anarchy, and he preached free-love. Oh you thought that was invented in the 60’s? No. It’s just in the 60’s women could then cease falling pregnant as a consequence. In the early 1800s Shelley, preached communal living, and spoke of the rights of women to choose their lovers and instigate affairs. (Mary’s and Fanny’s mother had written on the subject of the freedom of women, which was another reason why Shelley had sought the family out only to make friends with the three girls). Can you imagine Claire and Mary, who knew Shelley from the age of fifteen, sitting in their small family parlour, watching and listening to Shelley speaking to their older sister, Fanny, avidly engaged, as he discussed his beliefs and debated with Fanny on her mother’s writing. Let’s remember Shelley was a celebrity of the time and famous for his romantic poems and gothic tales at this early stage in his life. When Fanny was sent away by her father, perhaps because William Godwin feared an affair, Shelley turned his quixotic (love that word, it means dreamy, imaginable, romantic) attentions on Mary. But intelligent, exuberant Claire was not to be set aside. She was not to be cut off from this beautiful exciting world which she had only just begun picturing. Each generation thinks it invents ways of life, but if you have followed my blogs for a while you’ll know my abiding theory is that people now are exactly as people have been all the way back through history, it is only our environments and the rules about us which have changed. People did and thought the same things back then as we do now. Claire was a groupie, wrapt up in Shelley’s ideal, of course she was not about to let herself be excluded, she’d do anything to be kept in the loop. So she took on the role of co-conspirator when Mary and Shelley’s affair began, encouraging and supporting their budding love, enjoying and revelling in the intrigue. When Shelley then planned to run away with Mary, leaving his wife and children, whom he’d already separated from, behind, Claire ensured she was a part of the plan. They left the country, leaving Fanny, who’d thought herself loved by Shelley, behind and excluded, still banished in Wales. Claire’s mother followed them, not necessarily to urge Shelley and Mary to come back, Shelley was paying William Godwin money after all and helping to support him and keep his increasing debts at bay, but she desperately wanted to save her own daughter from such disgrace. In true rebellious teenager style, Claire was not to be persuaded. She had an exciting life ahead of her with beautiful horizons of a romantic dashing life, in which she would become notable, famous and remembered. Why would she go back? Her mother returned from Calais without Claire, but then she had walked the path of mistress, she must have known what Claire was getting herself into, and if Claire did know her origins, then she would have had a strong argument not to be persuaded. Her mother could hardly judge. 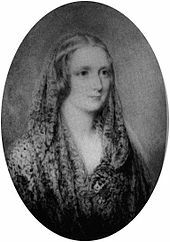 She, Mary and Shelley then progressed on a tour of the war-torn continent. It was not a time for travel, there were food and accommodation shortages, and they mention in their journals walking through villages burned to the ground. 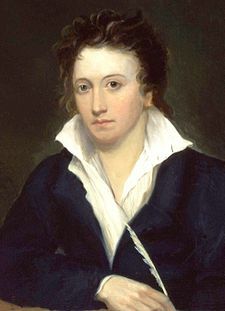 But Shelley ‘and his two wives’ fancied themselves in a romantic novel and read and wrote their way through Europe. You can still read their Journals of the time. Mmm, I wonder if she was in fact speaking of her own affection for Shelley. Despite rumour saying he slept with both girls, and Claire actively imagining herself, and proudly believing herself, the third in their free love relationship. There is no evidence there was anything beyond friendship between Shelley and Claire. However comments such as this and something I’ll mention later do sort of imply there was something. It was during this time that Claire, changed her name from Jane Clairmont to Claire, which she considered more romantic, she had tried Clara first. When Shelley and Mary returned to England, Claire continued to live with her stepsister and her stepsister’s lover, supported by Shelley and revelling in the infamous indecency of their relationship. But living in her sister’s and Shelley’s shadows perhaps began to gall. Or maybe she no longer liked playing second fiddle to her sister and wished to have pride of place with someone. So she sought to snare a poet for herself and shamelessly threw herself at Lord Byron. By then eighteen, Claire wrote to him daily, initially asking for his advice on becoming an actress or a writer, and then gradually becoming more and more blatant in her interest and her offers. At the beginning she proclaimed that when she saw him she only wished to sit on a stool at his feet – human instinct – exactly the same in the 1800s as 2012 -(I’ll talk far more about this in my new book blog at some point). Then later she told him he only need accept ‘that which it has long been the passionate wish of my heart to give you’. The little Groupie. Byron did indeed eventually accept, but like her mother there was a consequence for Claire, who still imagined herself in love and hoped for far more than Byron gave. She was nothing to him, Claire was not her sister, Mary. Claire had possibly hoped to win Byron’s undying love. She only earned his almost immediate desertion. Her affair with Byron occurred in his last months in England, at the time scandal raged about him. He’d declared himself depressed and Claire was probably only a moment’s entertainment to take his mind from his woes. Soon after their affair began he left the country for Europe in self-imposed exile. But still enthused by romantic fiction and blissful illusions of excitement and grandeur Claire refused to be separated from him and urged Shelley to follow, Shelley was after all of a similar mind to Byron, a political revolutionary. So once again Claire, Mary and Shelley set off for the continent. We can only guess whether or not Claire knew she was carrying Byron’s child at the time, but if she did not know already, she learned the truth on her travels, as did Mary and Shelley. By this time Mary had already born Shelley’s illegitimate child. Byron had made it clear to Claire he had no further interest in her before he’d left England, but he was a man who inspired fixation (more on that in later blogs). He knew how to charm women (huh-hum and potentially men). Scandal and desperation followed him like a plague. Now do you see what I mean about people being the same then as now. Could that not have been written yesterday, apart from the structure of the language. The thought is the same. I bet you assumed the phrase ‘putting it about’ recently invented, as you did free love. Well poor old misguided Claire, had, put it about, as Byron so bluntly described, and despite taking her to his bed again to end her endurance in persuasion, he still then turned her away once more. To set this in context it was in this period that Shelley and Byron, Mary and Claire, concocted awful gothic stories for entertainment to terrify one another, and it was in this period the idea of Frankenstein was born in Mary’s head. When Claire’s cast for Byron failed again, Shelley brought her home to England to birth the child. He smuggled her back into the country in secrecy and hid her away in Bath, seeking to keep the pregnancy quiet. He had his own battles to fight and needed no further scandal linked to him at the time. It was during Claire’s pregnancy that Fanny, her eldest stepsister committed suicide, as I spoke of last week. Shelley’s wife also committed suicide within two months. He must have thought himself heavily burdened at the time. Heaven knows what Claire thought now facing the consequences of the pleasure of free love. In later life she was known to say her affair with Byron had ‘given her only a few minutes of pleasure but a lifetime of trouble’. When the child was born, with Shelley deeply in debt, as was Claire’s stepfather, and Mary and Shelley married, the trio set off abroad again, taking Byron’s daughter, Allegra, with them. They thought the child would have a better life with her father, although Claire probably also still hoped that she too might have a future with Byron. She did not. All through her pregnancy Claire had continued to seek Byron’s attention and affections, writing to him frequently without any recognition and when she caught up with him on the continent, he initially refused to have anything to do with the child. 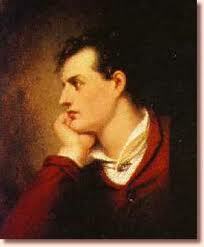 But eventually Claire, or perhaps Shelley, persuaded Byron to take Allegra. It meant though that Claire must cut herself off from her daughter and cease her obsessive pursuit of Byron. It was the condition by which he took the child––that Claire leave him alone. (Yes there were stalkers in the 1800s too). Claire consented, though afterwards she was horrified by Byron’s ill-treatment of Allegra, I doubt he felt any affection for the daughter his brief liaison with Claire had created. He packed Allegra off to a house he didn’t live in, to be brought up by servants, and later had her placed in a convent where she died at the age of five. Claire had seen her daughter a couple of times but not for two years at the point Byron admitted her to the convent. Claire had sought to plot to steal her away from the convent but Shelley would not agree to the plan and she did not feel able to do it alone. Here is a link to a copy of the letter Claire wrote to Byron when he told her he was putting Allegra in a convent. And here a link of Byron’s reply, refusing to communicate with Claire. Also another link to a letter written by Allegra to her mother, click on the transcript tab for the content of the letter. After her affair with Byron, Claire remained with Shelley and Mary until Shelley’s death. Whether or not there was anything between Shelley and Mary physically who knows? But there were rumours that Claire bore Shelley a child, which Byron publicly believed and he had spent time with the three of them. We learnt in my last blog that Shelley was quite capable of subterfuge when he covered up Fanny’s death so the scandal would not reflect on him. Did he therefore do the same in Naples in 1818. He is known to have registered the birth of a child on the 27th December, the mother’s name was given as an Italian woman. The child was immediately placed in foster care in the city at the time and although Mary denied any possibility of the child being Claire’s, Claire was known to have been ill within hours of the child being registered. Perhaps? Certainly Shelley left Claire a generous sum in his will. For favours rendered? That child also died, left behind in Naples, the child only reached the age of one. 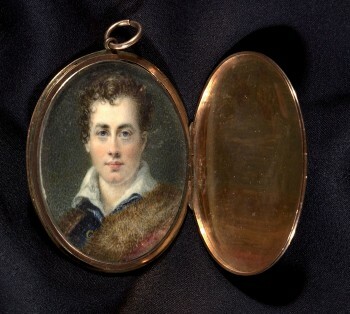 In a letter on the link below, there his a rather odd plea from Shelley, who was at the time again in the company of Byron, claiming to Mary that if she has heard that anything has occurred between himself and Claire, it is not true. (Me thinks the man doth protest too much). As Claire grew older though, after such bitter experiences and such public rejection from Byron, her desire for men waned. 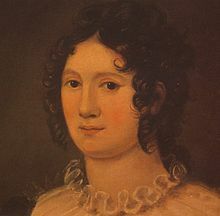 After Shelley’s death, Claire separated from Mary and lived more peacefully adopting the life of a governess and companion in a number of positions, with various families who treated her well. When she wrote to her sister, Mary, of men she joked about their interest, but expressed little return affection, joking once that two men had commented on her disdain, and that therefore she might shock them and fall for them both at once. At one point in letters she mentioned an idea to write a story expressing the ‘erroneous opinions’ about male and female relationships, planning to cite the beliefs of both Byron and Shelley. Clearly she was no longer blinded by her youthful infatuation for romantic poets and their free love principles. Still Claire, unlike many of my stories of scandalous women, had a happier ending, out living most of Byron’s and Shelley’s set and living a contented, more simple and peaceful life, less scandalous and more inconspicuous certainly. She died at the age of eighty. I have not read Mary’s Journal, I am going to, and next week I’ll tell Mary’s story. I love these juicy real life tales. Sad though when you think of the person who endured this life in reality. Clearly Claire found some happiness in the end but I suspect her youthful rebellion left her bitter and injured emotionally. Posted on November 12, 2012 by janelark •	This entry was posted in History, Lord Byron, Regency Stories, Scandalous Women, Stories from the City of Bath and tagged 1700s, 1800, 1800s, 18th Century, 19th Century, Allegra Byron, author, Bath, Claire Clairmont, history, Jane Lark, Lord Byron, Mary Shelley, Percy Shelley, regency, writing. Bookmark the permalink. web browser compatibility issues. Whenever I take a look at your web site in Safari, it looks fine however, if opening in I.